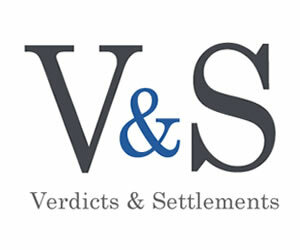 Welcome to Virginia Lawyers Weekly’s new Verdicts & Settlements research database. This beta version will be available for free to subscribers for a limited time. This powerful online tool allows you to search verdict and settlements throughout the state. The VLW V&S database will help you compare your own cases and assess their value for trial or settlement. You also can learn more about a particular city or county, court, judge, expert or opposing counsel. Anyone may submit a new verdict or settlement for publication in Virginia Lawyers Weekly. Once published, the details also will be entered into the V&S database, but only Virginia Lawyers Weekly subscribers are able to view and search the entire system. If you are currently a subscriber, simply click here to create a user login or enter your existing login credentials below to search the database. To become a subscriber, please click here. Your comments and suggestions will help make this research tool better, stronger, and more powerful. Please send your comments and suggestions to: sarah.rodriguez@valawyersmedia.com.